During my annual sleep-in-the-van overnight photo trip, I was awake before 4 a.m. and started on the six-kilometre return trip to Siffleur Falls. 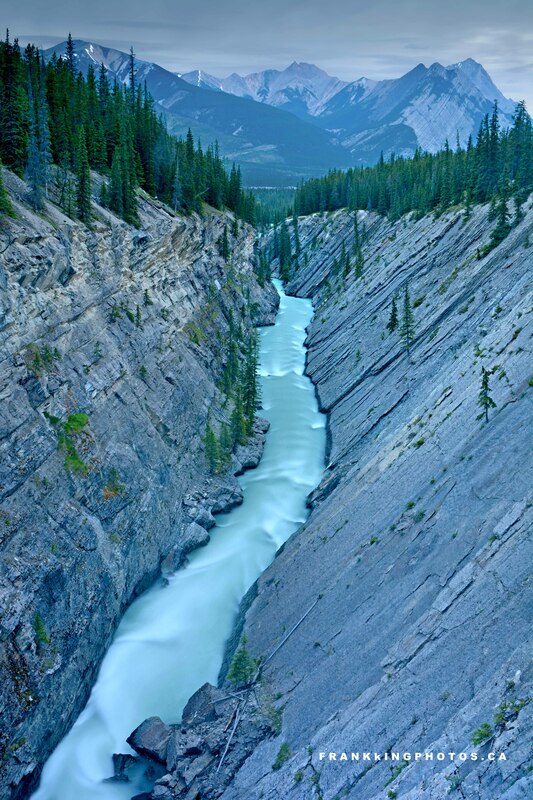 This impressive view along the way highlights the angled wall of the river’s canyon. Using a graduated density (darkening) filter on the mountains and sky was a key decision; without the filter, the sky would have been a bland, distracting white.